Potty training is a huge deal for parents with children under the age of 6. If you have your own daycare center, or work for one, chances are most of your children are in that potty training age. It’s a big deal for parents, so it’s important you’re incorporating potty training into the day at your child care center. Parents will be happy knowing they’re sending their child to a center that values the importance of potty training and is working on getting their child properly trained. You should be aware of the children in your center who are ready to start potty training. If your center separates classes based on age, this would be 2-3 year old class that can start potty training. The training can continue on up until the child enters preschool or kindergarten. Some signs to look for to know if the child is ready to start potty training is if they express interest in the toilet, tell you they have to go potty, they feel uncomfortable in wet diapers, tend to stay dry for two hours, and they have regular bowel movements. If these are signs you’re seeing, the child is ready to start potty training. You can start by showing a potty training video or even reading a book together. This will get them familiar with using the potty. Because you’re in the daycare setting, seeing other children wearing big kid underwear and using the potty will help motivate them to want to do the same. Be sure to fill the child’s parent’s in on the progress so they can continue at home and fill you in on any successes or failures. 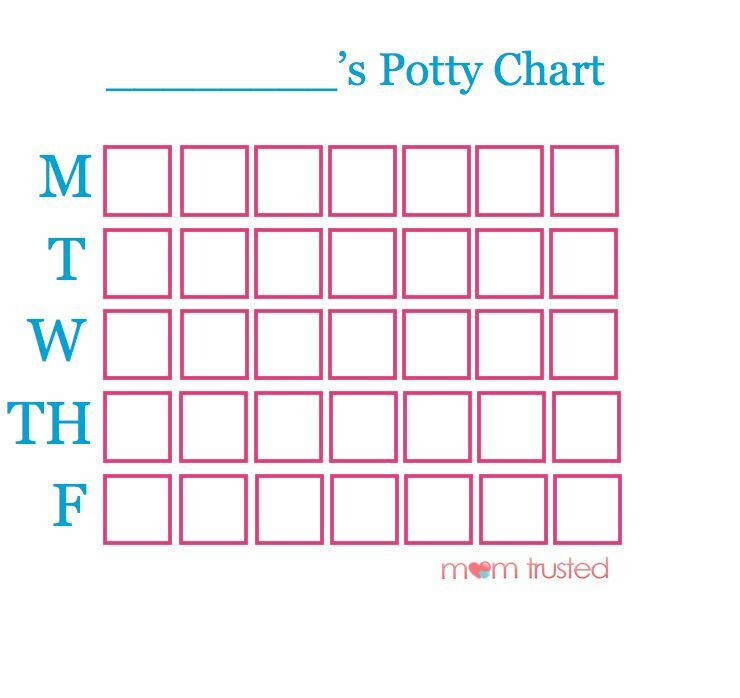 Using a potty training chart will be the best and most successful way of tracking the child’s progress. You should discuss with the child’s parents how tachey would like you to punish and reward. For example, will you punish for accidents? Will they get a sticker if they sit on the potty for a period of time, even if they don’t end up going? Consistency between provider and parent is key for a child’s success in training. Download our FREE potty training chart download to get started in your daycare center! Every child get’s a chart and stickers are rewarded for each time the child goes to the bathroom. Again, you’ll need to decide if just sitting on the potty deserves a sticker or if the child actually has to go potty to get one. Take the child’s age into consideration when deciding this as well. The younger the child is, the more lenient the reward policy should be. Set a prize at the end of the day if they’ve received all stickers possible. Happy training!